On Sunday, a small group from Sioux Falls went to Minneapolis to the Living Word Christian Center for "A Night to Honor Israel." I am still mulling over my thoughts on this wonderful evening. I expect I will blog on the entire evening in the near future.The featured speaker for the evening was Dennis Prager, to me a tower of Jewish thought and wisdom. I wish everyone could view his entire speech. One of the thoughts that he discussed, I found on YouTube from a similar address that he gave. In this short video, he simplistically explains to both Christians and Jews why Jews are so reticent to believe that Christians can truly love Israel and the Jewish people. I hope that you will take the time to watch this short video and then examine your own views. This is a very long article in Foreign Policy Magazine. While the length is oppressive, the thoughts are instructive. He basically leaves one with the impression that currently, peace between Israel and the Palestinians and Israel and the Arabs is unattainable. With all of the complex problems facing the US both at home and abroad, we cannot bring enough focus to work with the parties to solve this problem. He does not say it specifically but only another war will create the needs to find a chance for peace. The two times that great progress was made was following the 1973 Yom Kippur War, which led to peace between Israel and Egypt, and following the Gulf War when we began the Oslo Process. Barring such catastrophic events, we will remain stuck in a quagmire. He does not say we should give up but we should have a realistic understanding of where we are at. I can't tell you how many times in the past 20 years, as an intelligence analyst, policy planner, and negotiator, I wrote memos to Very Important People arguing the centrality of the Arab-Israeli issue and why the U.S. needed to fix it. Today, I couldn't write those same memos or anything like them with a clear conscience or a straight face. The notion that there's a single or simple fix to protecting U.S. interests, let alone that Arab-Israeli peace would, like some magic potion, make it all better, is just flat wrong. In a broken, angry region with so many problems, it stretches the bounds of credulity to the breaking point to argue that settling the Arab-Israeli conflict is the most critical issue, or that its resolution would somehow guarantee Middle East stability. A brilliant, empathetic president has made America the focal point of action and responsibility for the Arab-Israeli issue at a time when the country may be least able to do much about it. The painful truth is that faith in America's capacity to fix the Arab-Israeli issue has always been overrated. It's certainly no coincidence that every breakthrough from the Egypt-Israel treaty to the Oslo accords to the Israel-Jordan peace agreement came initially as a consequence of secret meetings about which the U.S. was the last to know. I don't know if you read Google's blog, but I receive in my RSS feeds. I think that it's a good post to receive. These 2 recent articles discuss the way Google handles requests from governments and censorship. If you believe that knowledge is power as I do, you have to cheer for Google in doing all it can to keep information flowing. I am not advocating that Google is totally altruistic. This may just be a response to the mess with China but I think this is the right thing to do. So Bravo Google!! If you have the time, enjoy these two posts. Two and a half years ago, we outlined our approach to removing content from Google products and services. Our process hasn’t changed since then, but our recent decision to stopcensoring search on Google.cn has raised new questions about when we remove content, and how we respond to censorship demands by governments. So we figured it was time for a refresher. This poll just proves a point that I have been discussing for several years. We Americans do not like the way that our government in Washington works. The disconnect is that whenever there is a problem Washington is the place we turn for the solution. We have tried a Republican controlled Congress and Administration. We are now trying a Democrat controlled Congress and Administration. We have tried a divided Congress and Administration. Whatever we have tried, our politicians have not gotten the message. We want them to work together to find common sense solutions to our problems. Since they have missed that message, it seems to me that we need to take the responsibility back upon ourselves. We, the people, need to demand more local control to implement common sense solutions. Unfortunately, this is easier said than done and the political animosity found in Washington has filtered down to the states. We will continue to find it easier to complain than take responsibility. WASHINGTON — America's "Great Compromiser" Henry Clay called government "the great trust," but most Americans today have little faith in Washington's ability to deal with the nation's problems. Public confidence in government is at one of the lowest points in a half century, according to a survey from the Pew Research Center. Nearly 8 in 10 Americans say they don't trust the federal government and have little faith it can solve America's ills, the survey found. While attending the annual AIPAC Policy Conference in March, I reconnected with a cousin of mine, Stuart Rosenthal, also originally from Fort Worth. As you can see from the link, Stuart is a successful publisher of a Senior newspaper in the Washington, DC area. Here is an editorial from his most recent publication discussing the problems of the deficit and senior programs. His editorial is timely and poignant. You may have to click on page 2 to get to this editorial. As publisher of the Beacon and chair of the Maryland Commission on Aging, I am used to advocating for programs and serv ices that address the needs of the region’s older adults. Most of the time, that means lobbying for more govern ment funds. So today, I want to lobby for something that may seem surprising: I want to ask our government leaders to face facts and address the dire structural, financial crisis our country is facing, even though that means we aging advocates will also have to face some unpleasant facts. When I advocate for senior programs, I talk about the demographic realities of our aging population. I point out wherever I can how much our increasing longevity and the huge population bulge created by the 78 million baby boomers are changing the makeup of our society. In 10 years, Maryland will look like Florida does today (with nearly one in five adults 65 and over). Fairfax County, Vir ginia is aging even faster than Mont gomery County and Prince George’s Counties in Maryland. And as our “senior class” is growing fast, our working class and numbers of school age children are growing much more slowly or even shrinking. This huge, but gradual, de mographic shift means we need to focus now on how to revise our government spend ing priorities, diverting more of our resources toward those in later life. Even before our current recession, I often encountered deep denial of these facts among legislators and bureaucrats. But today, in themidst of constant budget short falls, things are even worse. Now cuts are being made in senior programs (as in al most all other government spending) even as the numbers and needs are rising. And when it comes to national problems like funding for Social Security and Medicare, the pressures are even greater. Medicare’s hospital insurance fund has been facing annual deficits since 2008, and Social Security is heading for them shortly. In fact, it appears that even this year, So cial Security will be $28 billion in the hole (taking in that much less in Social Security taxes than it pays out in benefits in 2010) ac cording to business columnist Allan Sloan. Many types of solutions have been pro posed to address Social Security’s prob lems: push off the retirement age, tax high er levels of income, raise payroll taxes, re duce benefits. There are also proposals for addressingMedicare’s shortfalls. But these aren’t painless, and legislators won’t risk their reelection by even sug gesting that such things need to be done to preserve the programs. Instead, Congress appears to be heaping fuel on the fire by passing expensive new entitlement programs in the healthcare arena. Yes, the recent legislation holds out the promise of cost savings in the long run, but much of those will materialize only if Congress acts in ways in the future that it hasn’t been able to in the past. And what about the even larger prob lem of reining in federal deficits generally (now exceeding a trillion dollars a year)? In an effort to address these while pre venting blame from attaching to individual members, Congress briefly contemplated appointing a bipartisan commission that would presumably call for a combination of spending cuts and tax increases. Congress would then take a single vote on the entire package of suggested solutions. While it was a cowardly and constitu tionally suspect way of addressing the issue, at least it was an attempt. But Con gress couldn’t even agree to the commis sion! So President Obama has appointed a bi partisan presidential commission instead: One that doesn’t obligate Congress to vote on its results. But this commission doesn’t face the facts, either. Its official task is to eliminate the federal deficit by 2015 — not counting interest payments on the national debt. Ac cording to the administration, the project ed 2015 deficit would be $752 billion— but $571 billion of that is for the interest pay ments that aren’t counted, according to columnist Robert J. Samuelson. So even if the commission were to solve its stated problem, it would only address 24 percent of the deficit in 2015, and make no progress toward reducing the accumulated national debt, much less addressing long termneeds of Social Security andMedicare. What will it take to get our so-called lead ers motivated to do what needs to be done? Do we need our legislators to make a sui cide pact, with everymember willing to risk his or her job to get it done? Or do we need a more enlightened electorate, willing to re ward representatives whomake difficult de cisions rather than call for their ouster? The decisions we need to make as a so ciety will result in short-term pain, no doubt. They will anger and possibly hurt many of those we care most about. But painful measures can’t be put off forever, and they can be mitigated by careful ad vance planning. The time to start that planning has long since come. I invite you to share your thoughts on this subject, or any others of concern to you, by writing us at: Letters to the Editor, The Beacon, P.O. Box 2227, Silver Spring, MD 20915-2227, or info@TheBeaconNewspapers.com. We’d like to hear from you if you are planning or attending a high school or col lege reunion in the area, or if you’ve recent ly attended one. Please contact our manag ing editor, Barbara Ruben, by calling (301) 949-9766 or e-mailingbarbara@theBeaconNewspapers.com. I admit that I have not been a great fan of President Obama. He is, however, my president and I expect him to uphold our democracy’s highest ideals. This article, from the Washington Post, is just a continuation of the arrogance that this administration has shown in its style of governing. The greatest example of this arrogance was the health care debate. The President promised the American people that it would be totally open for all the world to see. We would be able to watch the committees on C-Span. The text would be published on the internet for the public to read. When the bill was decided behind closed doors and members were bought off to vote for it, I was and still am outraged. This article shows, to me, a President and an administration that believes it knows best in all areas and will only tell us what it wants us to hear. My hope is that others in the Fourth Estate will be as outraged as the reporter in this article and will use their paper and ink, blogs and newscasts to demand a more open administration. The citizens of the United States deserve nothing less. World leaders arriving in Washington for President Obama's Nuclear Security Summit must have felt for a moment that they had instead been transported to Soviet-era Moscow. They entered a capital that had become a military encampment, with camo-wearing military police in Humvees and enough Army vehicles to make it look like a May Day parade on New York Avenue, where a bicyclist was killed Monday by a National Guard truck. In the middle of it all was Obama -- occupant of an office once informally known as "leader of the free world" -- putting on a clinic for some of the world's greatest dictators in how to circumvent a free press. I really do not want to turn my blog into a strictly Pro-Israel blog. I have always said that I am extremely Pro-Israel but I would like to think that I have other issues that are also important to me. But reading this article from the BBC just really ticks me off. For a change I am not mad at the BBC but at the event. If this was the first time that Hamas or the Palestinians had "mistakenly" reported a death blamed on the Israelis, I could forgive and forget it. This was not the first or the second or the tenth. They have a pattern of blaming Israel for events that we find out later did not happen. I am sure that this article absolving Israel will not make it to the Arab street. Actually it will not make it to most of the world as it is not shocking. So much for my ranting as most of the world just does not care. Gaza boy reported killed returns home alive. In the attached article, Natan Sharansky, Chairman of the Jewish Agency for Israel, talks about Passover, connection between Israel and the Diaspora and Jewish identity and freedom. This interview is a moving statement of the Jewish world from the perspective of the man most in charge of aliyah to Israel and promoting Jewish education in the Diaspora. Why a True Hero? Natan Sharansky was a Jewish Refusenik in the Former Soviet Union. Because of his work on Human Rights and Jewish Emigration there, he was imprisoned in the Gulag. For 7 years of the approximately 8 years he was imprisoned, I wore a bracelet as a reminder of his imprisonment. Like many others, I spent time writing letters to and visiting with our federal representatives on his and other Refuseniks' behalf. Whenever our national representatives met with the leaders of the Soviet Union, the freeing of the Refuseniks and the allowing of Jewish emigration was always on the list. The cause of the Refuseniks in the United States was not just a Jewish cause. Other groups who believe in freedom, justice and democracy also took up the cause. I remember being at a National Young Republican meeting in Washington, DC where Congressman Jack Kemp told the group that if they believed in these ideals, they needed to take up this cause. Trust me when I tell you that this was not a Jewish group. I was probably the only Jewish member attending this conference of approximately 800 people. 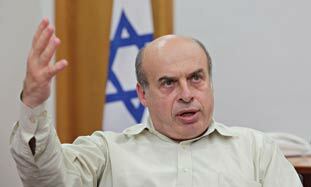 Sharansky was the symbol of standing up to authoritarian dictatorship. He was cruelly punished. He never gave up and finally was freed. In my opinion, a true hero.